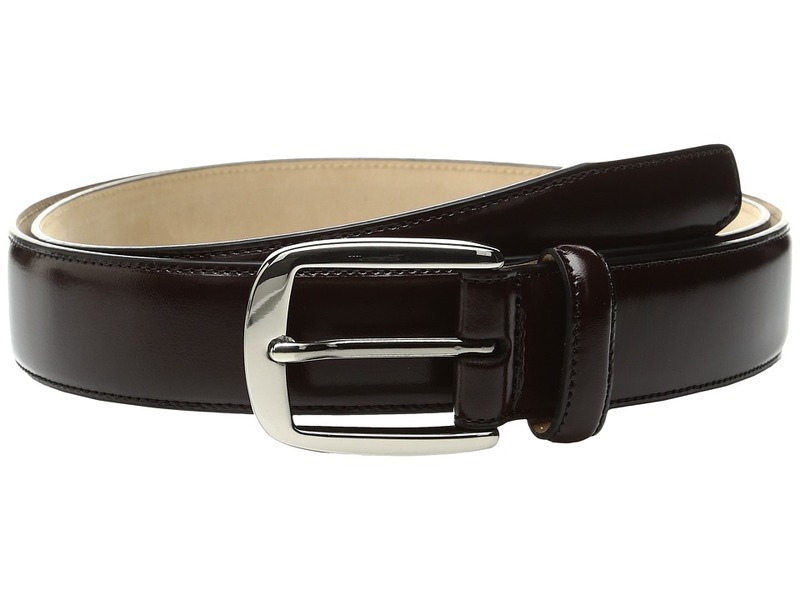 Complete your dapper look with the sophisticated Broderick belt. 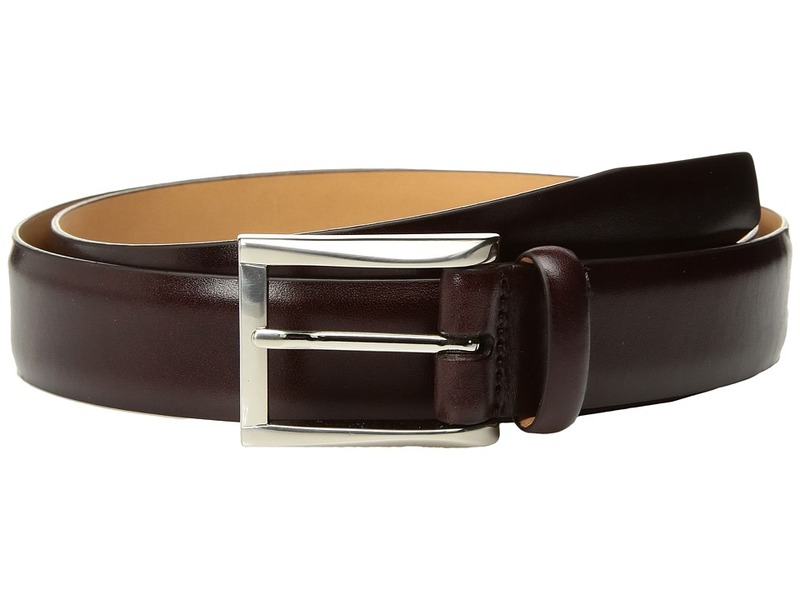 Made of full-grain vegetable-tanned Cortina leather. Polished nickel buckle with raised detail. 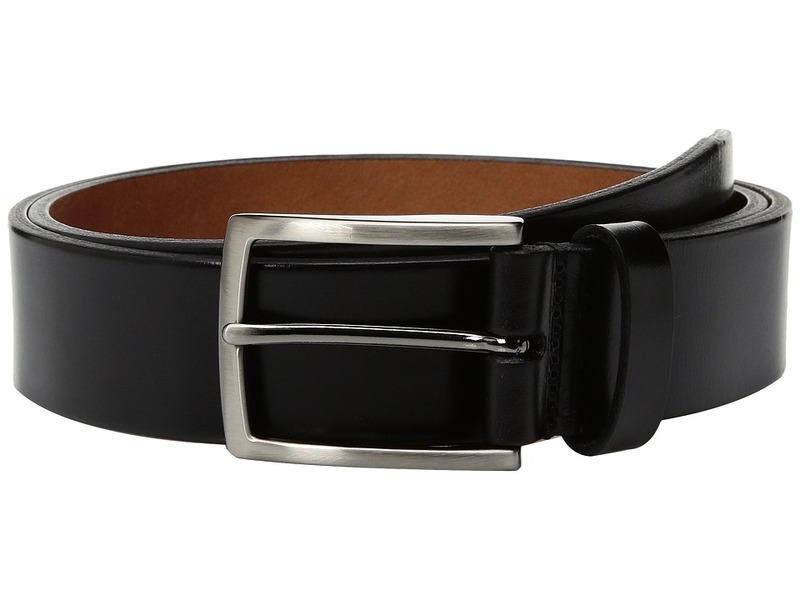 Stylish tapered belt tip. Single loop keeper. Imported. Measurements: Width: 1 1 4 in First Hole Length: 30 in Last Hole Length: 34 in Weight: 4 oz Product measurements were taken using size 32. Please note that measurements may vary by size. 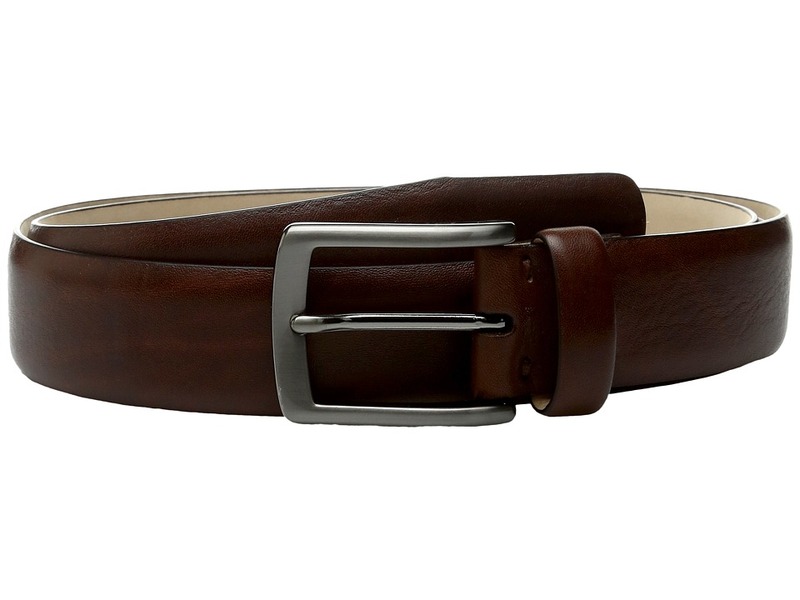 This handsome Trafalgar dress belt is perfect for every man~s wardrobe. Made of smooth Italian leather. Hand-burnished edges. 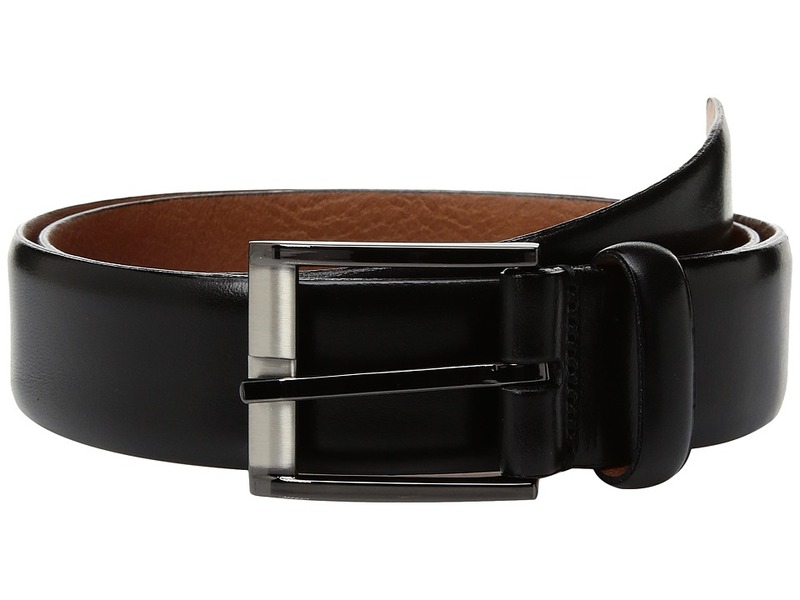 Slightly tapered belt tip. Single leather keeper. Brushed nickel and gunmetal hardware. Made in Italy. Measurements: Width: 1 1 2 in First Hole Length: 40 in Last Hole Length: 44 in Weight: 5 oz Product measurements were taken using size 40. Please note that measurements may vary by size. 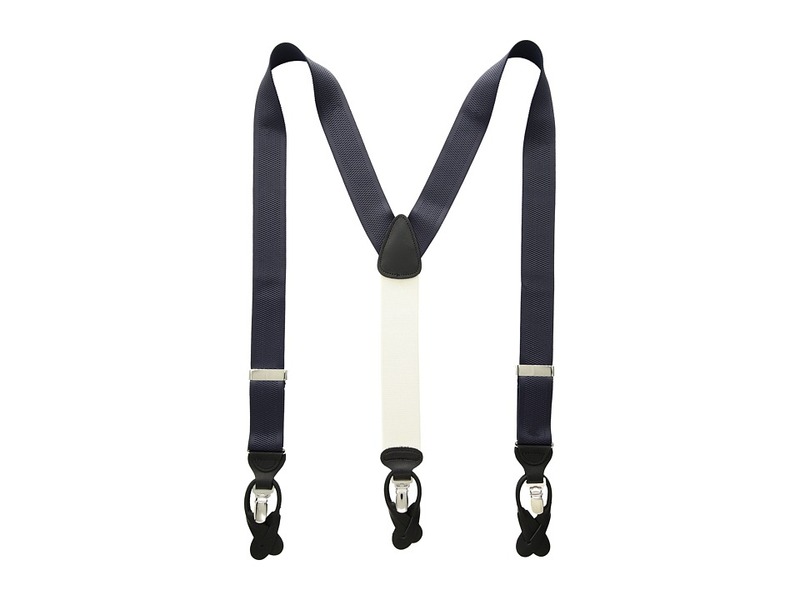 Dress up your ensemble with the Trafalgar Victor belt! High Sheen Brush-Off Leather. Polished Nickel Buckle. 1.25 wide strap. Imported. Measurements: Width: 1 1 4 in First Hole Length: 42 in Last Hole Length: 46 in Weight: 4.8 oz Product measurements were taken using size 42. Please note that measurements may vary by size. 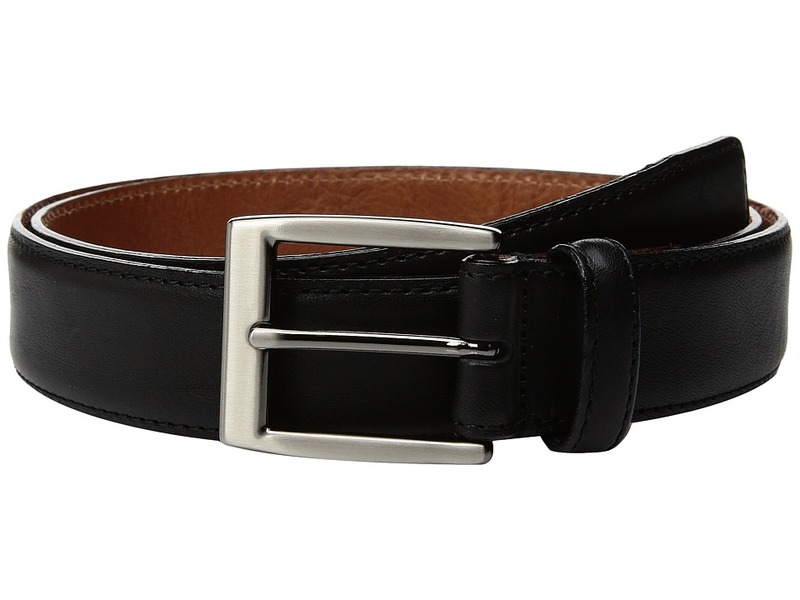 The handsome style of the Trafalgar Seth belt is what your wardrobe needs! Full-grain Cortina leather, vegetable tanned. Milled leather. Satin-finish gunmetal buckle. 1.375 wide strap. Imported. Measurements: Width: 1 1 4 in First Hole Length: 42 in Last Hole Length: 46 in Weight: 5.8 oz Product measurements were taken using size 42. Please note that measurements may vary by size. The Trafalgar Corvino is a small piece of luxury, perfect for your wardrobe. Made of full grain leather. Burnished detail adds character. 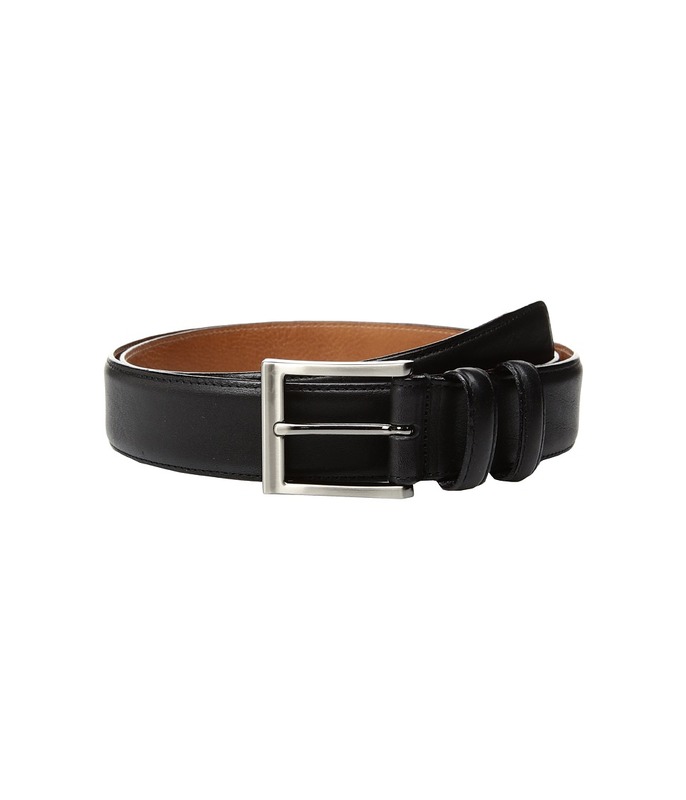 Adjustable buckle closure. Leather double-loop keeper. Made in Italy. Measurements: Width: 1 1 4 in First Hole Length: 41 in Last Hole Length: 45 in Weight: 5.6 oz Product measurements were taken using size 40. Please note that measurements may vary by size. The Trafalgar Fransesco will take your look to a new level of suave! Made of full grain leather. Burnished detail adds character. Adjustable buckle closure. Leather double-loop keeper. Made in Italy. Measurements: Width: 1 1 4 in First Hole Length: 38 in Last Hole Length: 42 in Weight: 5 oz Product measurements were taken using size 38. Please note that measurements may vary by size. 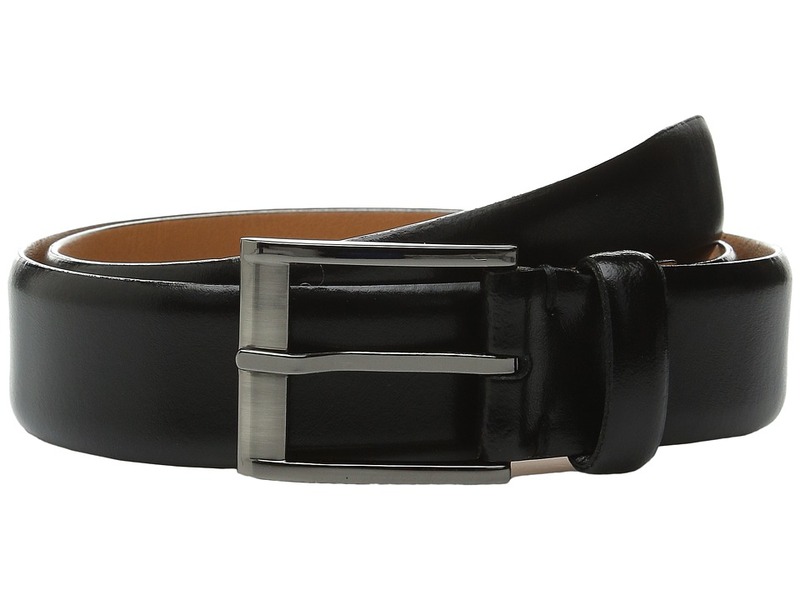 Make a statement with the addition of the Trafalgar Matteo belt to your collection. Made of genuine leather. Adjustable buckle closure. Leather single-loop keeper. Made in Italy. Measurements: Width: 1 1 4 in First Hole Length: 39 in Last Hole Length: 43 in Weight: 5.4 oz Product measurements were taken using size 38. Please note that measurements may vary by size. The Trafalgar Enrico is a suave and sophisticated! Made of full grain leather. Burnished detail adds character. Adjustable buckle closure. Leather single-loop keeper. Made in Italy. Measurements: Width: 1 1 4 in First Hole Length: 37 in Last Hole Length: 41 in Weight: 5.6 oz Product measurements were taken using size 36. Please note that measurements may vary by size.